This Christmas season, Lipscomb’s Intercultural Honor Society is helping The Salvation Army give gifts to people through the Angel Tree program. 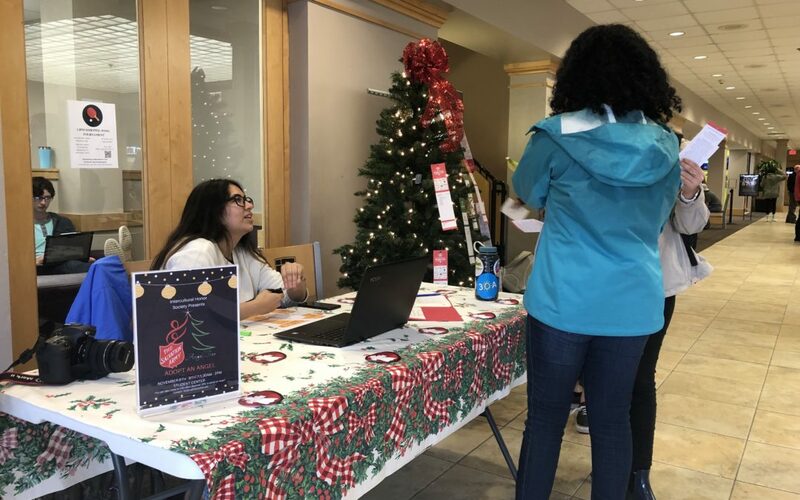 “I just love Christmas time so I thought maybe we could bring Angel Tree with Lipscomb,” said Amy Carpio, the co-president of the Intercultural Honor Society. The Angel Tree program is “a Christmas Assistance program for families who needing help providing gifts and basic needs to their children at Christmas,” according to the Salvation Army website. The IHS provides the lists of wants and needs so that people may pick out who they want to “adopt” by buying gifts and necessities this Christmas. So far, around 40 people are waiting to be “adopted.” The IHS office hopes that all of the “angels” get adopted, according to Sali Dagandan, the secretary of IHS. Carpio encouraged students that if they want to adopt an “angel,” but the costs of presents might be too high, they can also partner up with others. “I know as a college student is hard to buy presents, even to your family, but you can do it with your friends. You can pitch in for one angel or you can bring one to your family and do it as a holiday project together,” said Carpio. Carpio said they chose to work with The Salvation Army because of its scope. “[The Salvation Army] doesn’t only incorporate giving gifts to people in need that are children, but also senior citizens and families,” she said. Stop by the student center this week between 10:55 AM and 2 PM to adopt an angel. After this week, the program will continue in the Office of Intercultural Development. Drop off unwrapped gifts at the OID office in the basement of the student center between November 6th-30th. It might be too early to talk about Christmas, but it is certainly not too early to start thinking about what we can do for others. “If God is going to bless you, he’s going to want you to bless others around you,” Carpio said.